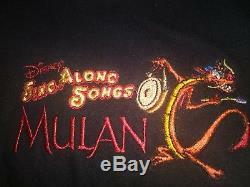 One extra large black Jean button-up long-sleeve Disney sing along. 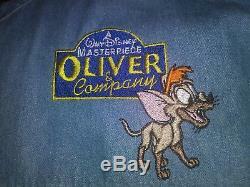 Large Disney long sleeve Jean button up Oliver & Company. 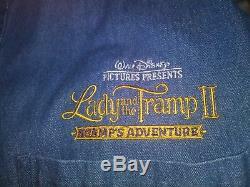 Extra large Disney Lady and the Tramp long sleeve Jean button up. 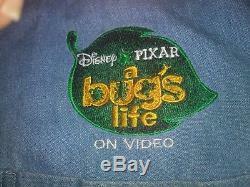 Medium long sleeve Jean button up Disney Pixar A Bug's Life. 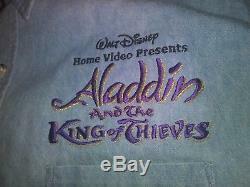 Extra large Disney Aladdin and the King Bean button-up long-sleeve. 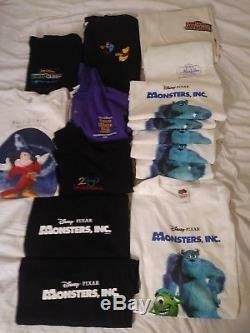 Walt Disney Masterpiece Fantasia extra large t-shirt One Winnie the Pooh extra large t-shirt one extra large Walt Disney Fantasia t-shirt one large Aladdin No Such Thing pal Edition t-shirt one large Lindsay Lohan confession of a teenager drama queen t-shirt. One large long sleeve Disney Pocahontas journey to a new world tee shirt embroidered. 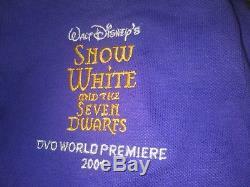 One colored Snow White and the Seven Dwarfs purple t-shirt 2001 DVD world. 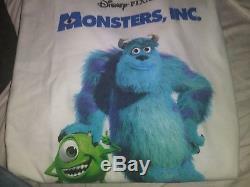 6 large Monster Ink t-shirts. Two black extra large Monster Ink shirts. 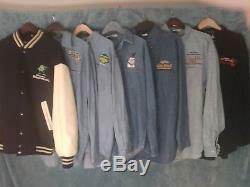 I'll try to have a picture of all of it in the listing so you can look at them they're all new and they're all perfect thank you the varsity jacket is not included. The item "New Rare Disney Collection of Disney movies Promotional memorabilia clothing" is in sale since Friday, September 14, 2018. This item is in the category "Collectibles\Disneyana\Contemporary (1968-Now)\Apparel & Accessories\Coats, Jackets, Outerwear". 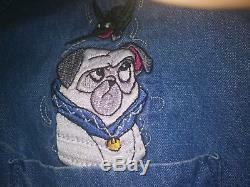 The seller is "roxvanno-0" and is located in Laguna Niguel, California.